The Oregon Coast is a popular destination for travelers seeking to enjoy outdoor activities such as boating, fishing and exploring. The coast is lined with beautiful landmarks and dotted with small historical towns. Honeymooners and couples looking to get married also frequent the area. Several romantic hotels along the coast are ideal for romantic excursions. Explore the beauty of the ocean in Oregon. Coos Bay Manor is a Victorian-style bed and breakfast designed to be both luxurious and comfortable. The property that surrounds the hotel sits in the midst of tall trees in a forest area flanked by walking trails and resting areas. Each room at the hotel offers amenities that include flat-panel television, antique furnishings, upscale linens, work desk and sitting area. Property amenities include a public area with a fireplace and available books and games and a dining area where a gourmet breakfast is served to each guest daily. The vibe of this property is romantic and relaxed. The Coho Lodge is located overlooking the beach in Ocean City, Oregon. The boutique-style hotel offers rooms and suites in a number of different sizes. A romance package can be ordered and includes, champagne, chocolates, robes for two, silk rose petals on the couples bed, a long stemmed rose and unlimited DVD rentals. Rooms and suites at the hotel are outfitted with premium linens and high-end bath notions. Some suites are available with fireplaces and others offer bathrooms with spa tubs. An on-site restaurant serves gourmet meals and a list of fine wines and homemade desserts. 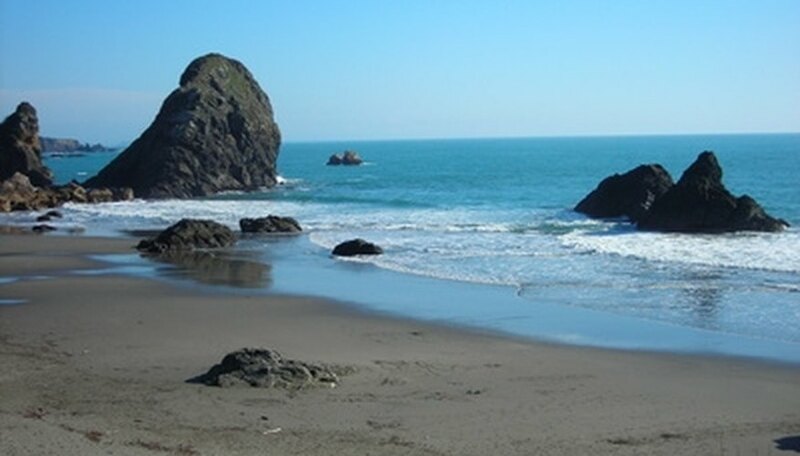 The Inn at Spanish Head Resort Hotel sits right on the beach in Lincoln City and is a popular destination for honeymooners and couples looking to married on-site. Each room and suite at the hotels offers amenities that include premium linens, flat-panel televisions, your choice of bed sizes, seating areas and available amenities that include mini-bars with sinks and mini-fridges, spa tubs and fireplaces. An-site restaurant can arrange to have items delivered to your room to enhance the romance. Those items include wine, champagne and chocolate-dipped strawberries. McArt, Sara. "Romantic Hotels on the Oregon Coast." Dating Tips - Match.com, https://datingtips.match.com/romantic-hotels-oregon-coast-6955585.html. Accessed 22 April 2019.